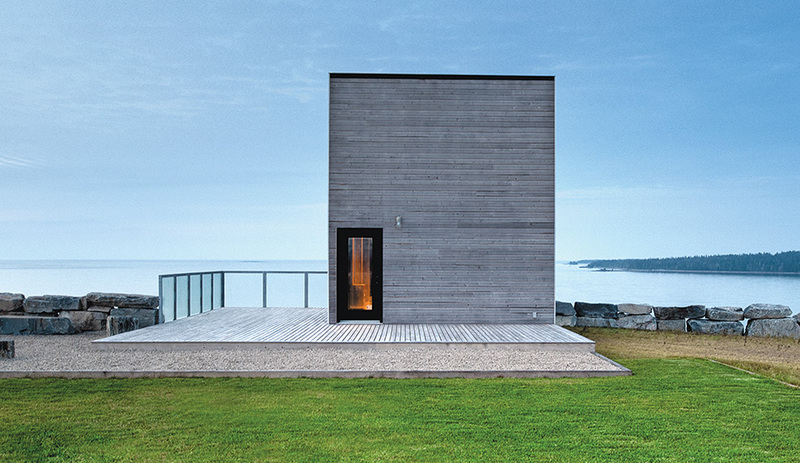 Cliff House, by MacKay-Lyons Sweetapple Architects, sits serenely on a cliff overlooking Nova Scotia’s sublime coast. 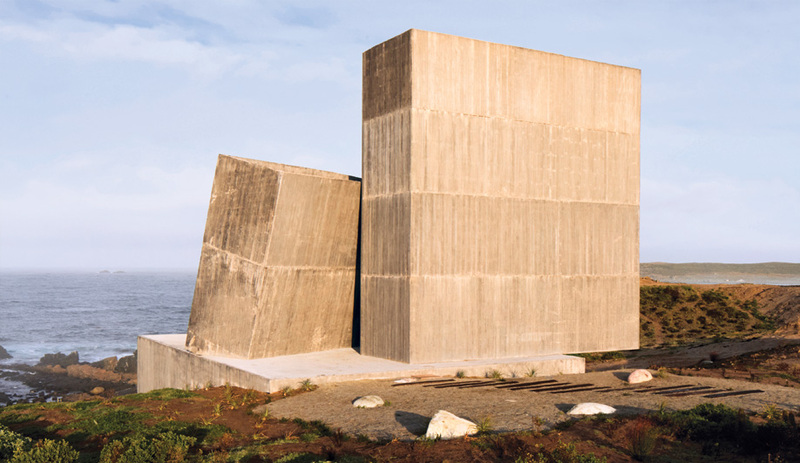 “Monumental modesty” is how Brian MacKay-Lyons describes Cliff House. Expressing a drama utterly suited to its breathtaking surroundings, the house is the first in a series of projects to be built on a privately owned property on the Atlantic coast. Measuring just 89 square metres, it is a triumph in every aspect – a stunningly compact building crafted using a frugal palette of glass, wood, aluminum and steel, and realized without breaking the bank. 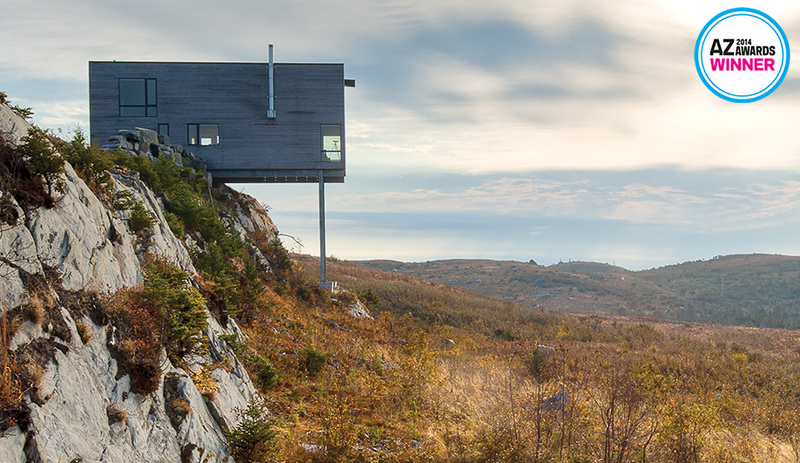 The skeleton forms the primary boxy volume, which sits on a galvanized superstructure anchored to bedrock, the engineering of which enables the house to rest two-thirds of its mass above solid ground. Inside, a conventional framing system is left exposed, to the point of almost being ignored; after all, it is the panoramic views, visible from three sides of the great room, that the house intends to exploit. Beyond this central space, kept warm by a wood-burning stove, there is a compact service core with an open kitchen and a bathroom, a sleeping perch above and not much more.